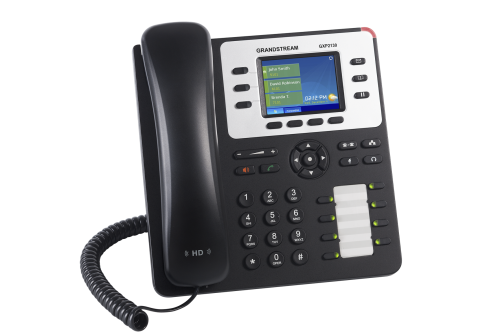 The GXP2130 v2 is a standard enterprise-grade IP phone that features up to 3 lines, 4 XML programmable soft keys, 8 programmable BLF extension keys, dual Gigabit network ports and 4-way voice conferencing. This Enterprise IP Phone comes equipped with Blueooth, Electronic Hook Switch (EHS) support for Plantronics headsets to allow for flexibility. Ideal for SMBs, enterprises and SOHOs, the GXP2130 v2 is the perfect choice for users looking for a high quality, feature rich IP phone with advanced functionality that is simple to use.